So here’s the backstory: In December, my wife Keri and I went in for the standard 19-week anatomy scan of our second child. As a parent, you think that appointment is all about finding out boy or girl, but it’s about a whole lot more. In our case, our daughter was diagnosed with a rare birth defect called anencephaly. Some three in 10,000 pregnancies rare. Congratulations to us. The phrase our doctor used in explaining it was “incompatible with life,” which looks as terrible in words as it sounds. The child fails to develop the frontal lobe of the brain, or the top of their skull. The chance of survival is literally zero percent. If you’re Googling it now — first of all, don’t click images — and see a story about a baby that has lived a lengthy time with anencephaly, either the baby doesn’t actually have anencephaly, or it’s being kept alive with every life support function possible. So we sat in a doctor’s office, five months before our daughter was set to be born, knowing she would die. 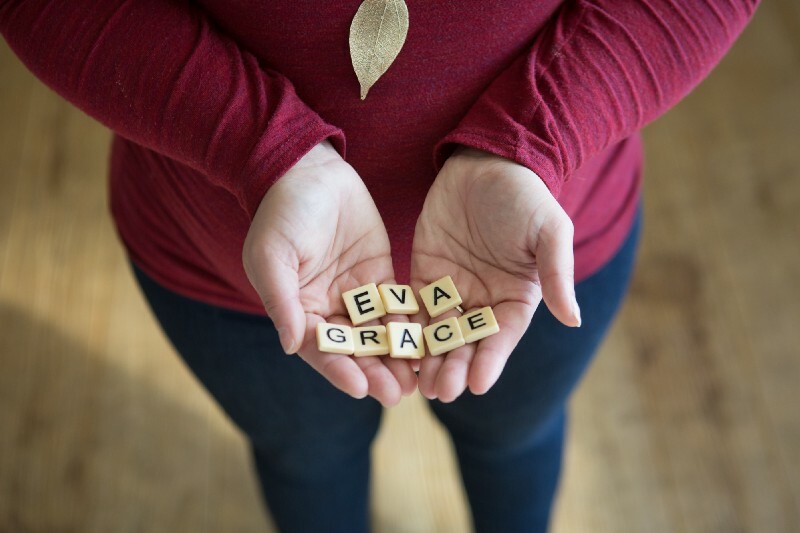 We decided to continue, and chose the name Eva for our girl, which means “giver of life.” The mission was simple: Get Eva to full-term, welcome her into this world to die, and let her give the gift of life to some other hurting family. It was a practical approach, with an objective for an already settled ending point. We met with an organ procurement organization called LifeShare of Oklahoma and found out we’d be the eighth family to donate the organs of an infant in the state. 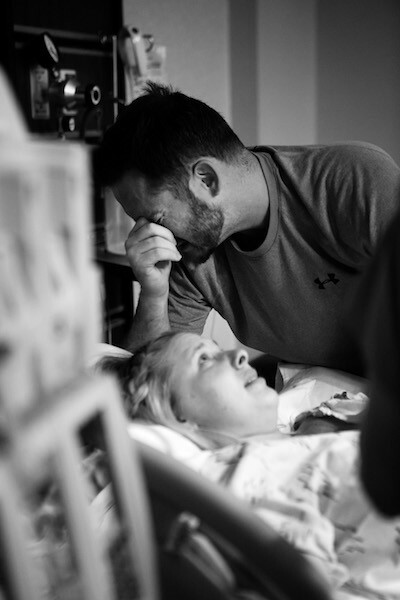 There wasn’t much of a precedent or process in place, because until only recently, most parents of anencephalic babies didn’t know it was an option. Heck, our maternal fetal medicine doctor, who specializes in cases like ours, didn’t even know. You see, there’s this weird grey area involved because even without a brain, these babies can’t be declared brain dead. Her heart would need to stop beating, leaving a finite window of, let’s call it opportunity, to recover her kidneys, liver and maybe pancreas and heart valves. We asked about other things, like her eyes or corneas, but LifeShare told us they’d never done that before, even with an adult. What we unexpectedly found, though, was joy in the pregnancy. We happily talked about our sweet Eva, and day by day our love for her grew. We got excited to be her parents. I think a big part of that was connected to the decision we made to continue on, which was empowering. She had a name, an identity, and a purpose. The idea of choice in pregnancy is a complicated one, and one I kind of want to avoid here, but our own personal convictions were pushed to the limits. Keri likes to say, “You think you know, but you have no idea.” Until you put the shoes on and start walking the road, you don’t have any clue. But wherever you fall, we just know that we were empowered by our decision, our responsibility, to be Eva’s mum and dad for as long as we could. We are thankful to have had made the decision on our own terms, rather than a rule book telling us we had to. 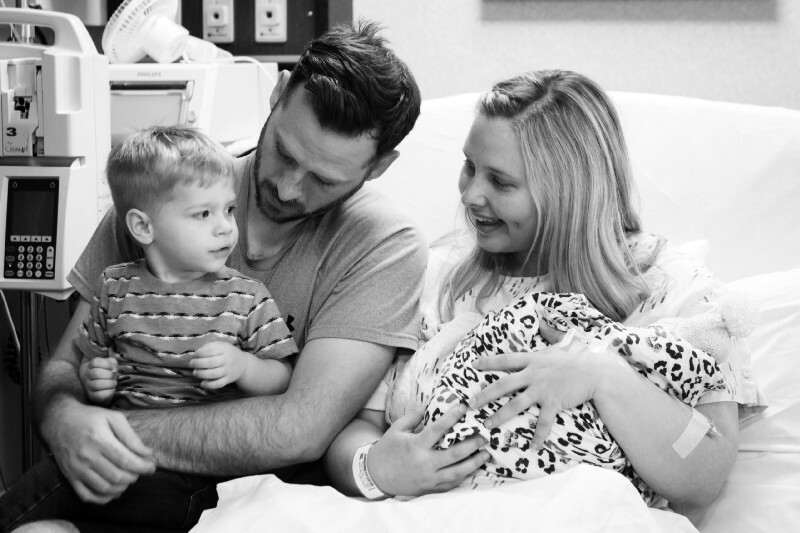 We went from seeing the pregnancy as a vehicle to only help others, to looking forward to holding her, and kissing her, and telling her about her brother, and being her parents. The time we’d have was completely unknown, with it ranging anywhere from five seconds to five minutes to five hours, to in some more optimistic estimates, five days. We met often with LifeShare and our doctors. We saw 4D ultrasounds of our girl, and took Harrison to see her. The first one, he said, “That’s my sister! I have a sister!” My nose burned and eyes filled up with the watery stuff. Especially when I realized that eventually he’d be saying, “I had a sister.” We decided to have a planned C-Section, on May 2, even though Harrison was born vaginally. We wanted to maximise our chances of seeing Eva alive, and be able to control as many variables as possible. That way there wouldn’t be any surprise labour in the middle of the night, and we could have Harrison there to meet his sister, and grandparents ready to hold their granddaughter even if she was only alive for an hour or so. It was something Keri had to grieve as well, giving up a vaginal birth for our next child. But it was necessary, and we wanted to do what was best for our girl. Because that’s what parents do. We had to make concessions with the transplant doctor, things like agreeing to intcbate Eva shortly after delivery. But we were willing, because regardless of our parental instincts to want to love and hold her for as long as we could, we also very clearly understood the inevitable. There was no changing the fact she would die. And we didn’t want to let five extra minutes with us get in the way of what could be a lifetime for someone else. The process was going to be delicate, and to be frank, it seemed increasingly unlikely that it would work. There were a lot of things that were going to need to go just right, even with the intricate plan that was being put in place. It was made clear to us over and over and over again how if Eva’s kidneys or liver didn’t go directly for transplant, they would go to research, and infant organ research is incredibly valuable. I got that. It made sense. But I wanted a tangible outcome. I wanted to be able to meet and hug and shake the hand of the person my daughter saved. I had dreams of going to birthday parties and high schools graduations and weddings. It was all pie in the sky stuff, but I couldn’t dream about what my daughter would grow up to be, so I fantasized about the difference she could make. What if the person who got her kidneys became president? What if her liver goes to a little boy and he wins the Heisman trophy? I was writing the “30 for 30” script in my mind every night as I went to sleep. It was something to hold on to, it was the kind of hope I wrapped up with both arms. Research was nothing more than a failsafe to me, a Plan B that I didn’t want any part of. 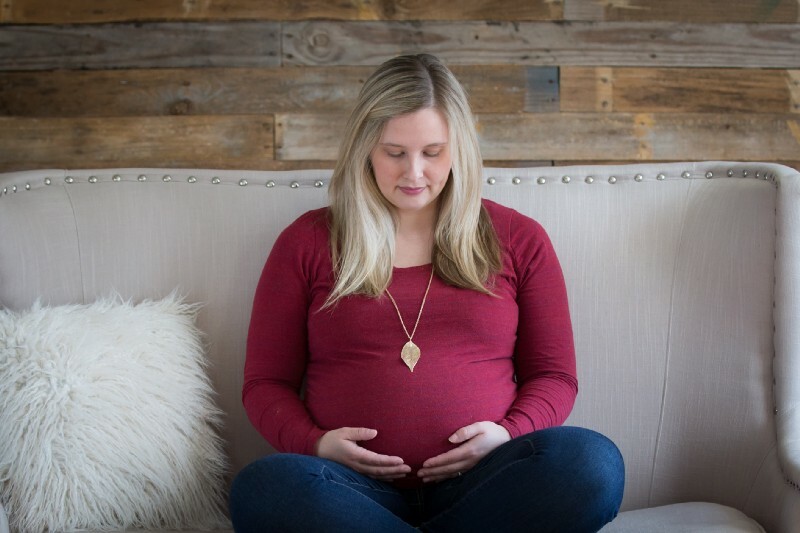 At 36 weeks pregnant, Keri’s belly was measuring at 42 weeks because of all the extra fluid inside, a complication standard with an anencephalic pregnancy called polyhydramnios. She started having contractions at 34 weeks, and we worried about early labour. Eva needed to be five pounds, or as close as possible to it, to be eligible for organ donation for transplant. Keri chugged water like a crazy person, went in for weekly non-stress tests, and we closely monitored Eva. The doctors suggested moving the C-Section to 37 weeks, but we pushed back on that, knowing there was no way she’d be five pounds then. We were trying to do everything we possibly could to give us the best possible chance. That’s all we could do. Moments before delivery. Mitzi Aylor/Aylor Photography. 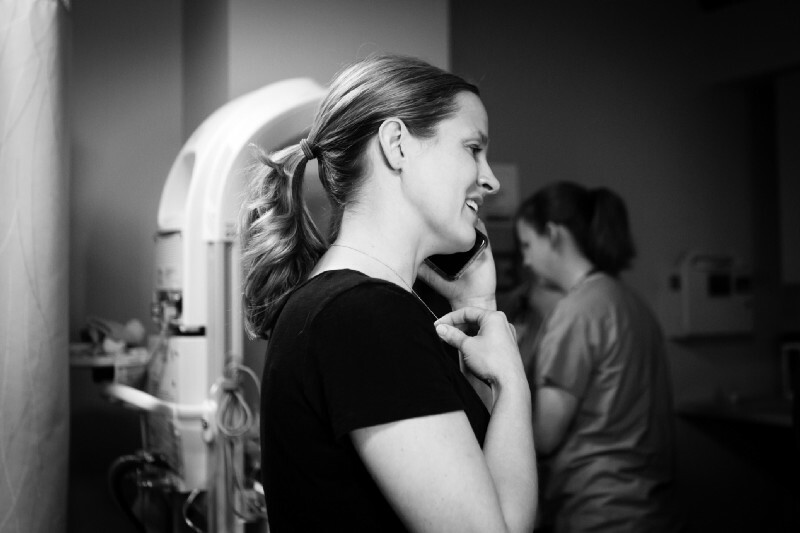 Since there was no reason to control variables anymore, the doctors induced Keri into labour. The rest of Sunday and into Monday morning were the darkest, most painful hours of our lives. Not that grief needs to be ranked, but compared to even when we found out Eva’s diagnosis, this was so much worse. We had come to terms with the outcome, and had almost found a joy in the purpose of our daughter’s life. We looked forward to meeting her and loving her. She was making an impact already, and people from around the world were celebrating her. We knew we’d hurt from her loss, but there was a hope in the difference she was making. We heard from recipients of organ donation that were so encouraging and uplifting. But the deal got altered. The rug was pulled out from underneath us. This was a curveball we couldn’t accept. It felt like we were letting everyone down (I know how ridiculous that sounds). I felt embarrassed because all that positivity about saving lives wasn’t happening now (I know how ridiculous that sounds). All the meticulous planning and procedures, all out the window. I’m telling you, just… disappointment. 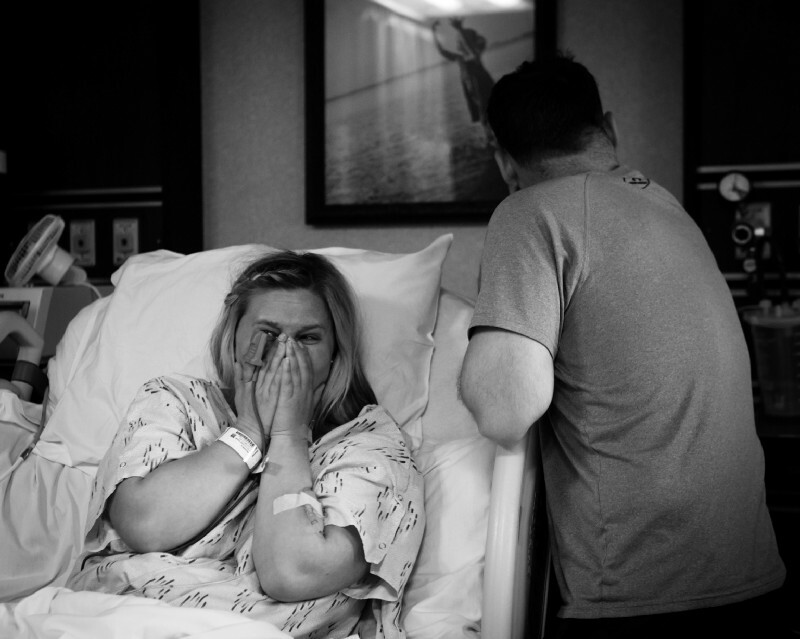 Five minutes after Eva was born, Dr. Pinard gets some good news for us. Mitzi Aylor/Aylor Photography. This was our reaction when Dr. Pinard told us about Eva’s eyes. Mitzi Aylor/Aylor Photography. None of it went as we planned. We’re trying to rest on knowing we did the best we could. We always said we wanted to limit our regret, and I think in 20 years or so as we reflect on this, there’s not much we’d change. Because anything we would change was already outside of our control anyway. We’re proud to be Eva’s parents. We’re thrilled with the impact she’s made. People from around the world have sent us messages telling us they’ve signed up to be organ donors, because of Eva. She’s the first ever — not baby, but person — in the state of Oklahoma to donate a whole eye, and she donated two. Because of her, LifeShare has made connections in other states to set up eye transplants for the future. They have an infant organ donation plan they now are working with that they’d shared with other organ procurement organisations in Colorado and Texas. They call it the Eva Protocol. It’s laminated and everything. I had latched on to kidney or liver donation, grasping to the thought Eva would directly save a life. She’s not saving one like I dreamed of, but she will be changing one. We always knew organ transplant was only just a chance anyway, and a slim one at that. But we wanted to take it. Someone’s life is worth the chance. In some ways, though, I’m more excited about her eyes being her living legacy. I keep thinking about looking into them some day, but more than anything, about her eyes seeing her mum, dad and brother. We always wondered things about Eva, like what colour her hair would be, if she’d have Harrison’s nose, if she’d have dimples like her mama, or what colour those eyes would be. In the time we spent with her, one was always just a little bit open, and I fought the temptation to peek. I can’t ever hold my daughter again. I can’t ever talk to her or hear her giggle. But I can dream about looking into her eyes for the first time one day, and finding out what colour they are. This article was originally published on Medium and and has been republished with full permission. To read the original click here.